The Poreč Dolphin is a swimming challenge for everyone – regardless of whether you make it to the finish line, your participation ensures you a medal and a t-shirt. You can swim with fins, on a float, freestyle, or backstroke ... choose the length of the course yourself. This recreational swimming marathon is the major event of the Swimming festival at sea, held each year on the first weekend in September at the beach in Poreč. Učka Trail is a trail running competition, as well as a unique journey through the preserved landscape of Učka Nature Park, where you get to take in the wonderfully combined views of mountain and sea. Choose your race and sign up for a day of breathtaking scenery that is made up of a unique fusion of sea and mountain combined with the Mediterranean climate. During the three-day international competition, you will see the big game fishermen go out every day in the hunt for the biggest fish. Be a part of the everyday official weighing of the daily catch on the main boardwalk and don't miss out on the Tunalicious Street Food Festival where all gastro enthusiasts are sure to have a memorable experience. Tunalicious street food festival at the main boardwalk at 8 pm with free tuna meals. For years, Valamar Terra Magica has attracted mountain-bike cyclists, both professional and recreational, to its attractive marathon trails. The real spectacle is on Sunday where the marathon trail awaits you with its 70 km and 2000 m of elevation gain. If that’s too much for you, you can apply for the shorter 50 km or even 30 km version of the race. First held in Hawaii in 1978, Ironman brings together more than 100 thousand participants and is held in 58 countries around the world. The Pula Ironman 70.3 will be a fast and fascinating race both for the athletes and the audience, foremost because of the small difference in altitude varying between 200 and 250 m. The first segment consists of a 1.9 km swim (three laps) that will take place in Ambrela Cove at Verudela, followed by a 56-mile (90 km) bike race starting in Pula, continuing through Loborika, Kanfanar, Rovinj and Vodnjan and then back again to Pula. The last segment, a 21-km-long run consisting of three laps around Pula, will begin at the waterfront. The most spectacular part of the race will be at the finish line in the Amphitheatre (Arena). The total length of the race is 114 km or 70.3 miles. City of Poreč will once again host the oldest and most famous Croatian rally event in late September and early October. It consists of 12 special stages on 6 different tracks, with a lenght of 184 km. It will be driven through narrow and slippery roads of istrian peninsula, and a total lenght of the rally is 477 kilometers. Run for your weight in wine! Register for the 4th edition of the hilarious marathon Istrian Wine Run and get a chance to win a supply of Istrian wine in your total weight. Choose from several distances and enjoy plenty of stops along the race at various wine producers. The finish line is in Umag or, more precisely in Stella Maris resort (ATP zone), where the whole family can enjoy the after-race party. An unusual pairing of gastronomy and activity was the main idea behind the hedonistic experience called Run, Eat, Drink. This race series offers something different – autochthonous Istrian product tasting combined with running through the unforgettable picturesque landscapes of Istria. Enjoy a celebration of beer and meet exhibitors from 40 breweries across Croatia, Slowenia, Italy, Austria, Hungary and Serbia. Fall, and especially October, is the top season of the white truffles, which are also the most expensive and the most valuable truffles. At that time, numerous events are held every weekend to celebrate this indisputable king of mushrooms in Livade, the well-known truffles centre near Motovun. But, even before and after this period, throughout most of the autumn, Istria lives in the rhythm of truffles with the abundance of festivities dedicated to this noble mushroom. The truffle season kicks off in Buzet with the making of the Giant Truffles Omelette that consists of 2017 eggs and 10 kg truffles, all mixed up in in one enormous, 2.5 meters wide pan. You can't miss it! The festival aims to promote Istrian wines and especially the native varieties - Malvazija istarska, Teran, Borgonja, Muškat ruža. The event starts with a demonstration of traditional grape processing, brought in barrels by a team of donkeys. Yes, donkeys. Since long ago the home-made Istrian prosciutto has been the most valuable product and the one the Istrian gastronomic offer has been most proud of. Prosciutto has been considered and recognized as a symbol of perfection, the Istrian people call it vijulin, meaning violin. It has earned its royal status due to its taste, smell, colour, the right softness and freshness. Its prestigious position among gourmets it owes to its producers strictly following the traditional rules. In its honour the Municipality of Tinjan traditionally organizes the International Prosciutto Fair - ISAP. Along with the all-day sports, cultural and entertainment programme, and the presentations of numerous participants, during the fair will offer numerous tastings as well as professional lectures. Cheese lovers, unite! Come enjoy endless versions of cheese and enjoy the crowning of the Best Goat of Istria. Outlook Festival is the largest festival of bass music and sound system culture in Europe. 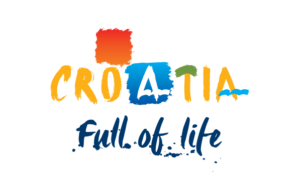 It starts with the spectacular opening concert in Pula's Arena, and during the following days visitors from all over the world can enjoy the music at the stunning setting of Fort Punta Christo in Štinjan. The Arena in Pula is the sixth biggest edifice among the similar preserved buildings in the world, and it could have accepted approximately 23 000 viewers. In the Roman Empire, such buildings were erected for entertainment in watching the cruel gladiator games and fighting with wild beasts. Spectacvla Antiqva takes place in Pula's amphitheater once a week, from the end of June to the beginning of September, except during the Pula Film Festival. In the evening hours the Arena becomes the site of gladiator fights, workshops, visitors have a chance to see ancient Roman clothing and hairstyles while a narrator explains everything to them. Experience musical entertainment program that welcomes you with the performance of klapas, vocal ensemble, small acoustic instrument bands and other similar musicalgroups that will perform at several different locations in the old town of Novigrad (Veliki trg, Venecija Pass, Mandrač, Porporela ...) during the evening and transmit by the music the atmosphere of the Mediterranean town in which music is heard "on every corner“. Hop in the time machine and travel with us three hundred years in past, on squares, streets, races, promenades, on rich menus with chosen delicacies, on concerts and plays that we will perform on authentic locations in the very heart of our city. Meet us, Poreč noble men and women, knights, jugglers, hawkers, drummers, flag carriers, crossbowmen and street entertainers... Inhale the breath of the past times and allow yourselves to be taken over by the magic of Giostra, crackling silk of elegant crinolines, puzzling glances of the ladies, knights bravery, music and dance moves from 18 th century, aromas of selected confections and intoxicating drops of the finest wines. Be thrilled by the knights’ bravery in the central event of the Festival – Giostra, a knight game that has its roots in the middle ages. Visualia Festival is a popular festival of light in Croatia, attracting about 10, 00 0 visitors. It presents the magic and beauty of new technologies and audiovisual art and at the same time has a great impact on city branding. This year's program will contain the very best installations and spectacles from the previous years. Special guests are also expected so various installations will be set up all over the city. On the last festival day, the night race "Xica" will be held through the city bathed in light. In 2015, the Guinness world record was broken in the Arena, for the largest photography of people forming a light sign, known as the "Light Postcard". Last year, Visualia Festival was included in the calendar of international light festivals.